Ninth through twelveth grade students participating in the 4-H Writing Group. The group is free and open to any Mason County resident in 9-12 grade. The group will be working w/ the Ludington Writers as well. These 2 hour sessions are great if you need a little help or if you want to knit or crochet and chat with others. Bring your project and questions, or get help picking a new project. Come and have fun! Adult Craft on Tuesday, April 5th at 6:00 pm. At the Ludington Library, create a Spring Garden Angel wooden display. All materials are provided, but you may bring additional decorative items if you wish. The craft is free, but donations are always appreciated. Please note: Miss Karen has retired. Miss Katie will lead the craft. Runners of all ages and abilities are welcome to join in. We typically break into groups based on speed and distance. Groups usually cover 3-5 miles from a run/walk pace to 8-minute miles and everywhere in between. It's not a race! Just a social group run followed conversation over draft and appetizer specials at Ludington Pub. Wednesday Morning drop-in music jam in the Gallery at the Ludington Area Center for the Arts. Acoustic Jam at LACA with Dave Preston starting at 6 pm. Wednesday Night drop-in music jam in the Gallery at the Ludington Area Center for the Arts. All are welcome as we meet EACH THURSDAY afternoon. Enjoy your hobby with friends, old and new. April 4th - Balancing a Checkbook and Taxes: Program for young adults in the 6th through 12th grades. In this program, we will be having Kyle join us from Safe Harbor Credit Union to teach you how to properly balance a checkbook, and the basics of how to start your taxes. Join us on Thursday, April 4th from 6:00 - 7:00 pm at the Ludington Library. April 11th - Cooking and Laundry: Program for young adults in the 6th through 12th grades. In this program, we will be teaching you how to cook several different foods such as mac and cheese and salads. We will also be teaching you how to do laundry including washing, drying, and folding. Join us on Thursday, April 11th from 6:00 - 7:00 pm at the Ludington Library. April 18th - Choosing a Career and Job Applications: Program for young adults in the 6th through 12th grades. In this program, we will be teaching you how to choose a career that best suits your wants and needs, and how to best fill out some basic job applications. Join us on Thursday, April 18th from 6:00 - 7:00 pm at the Ludington Library. April 25th - College Applications and Student Loans: Program for young adults in the 6th through 12th grades. In this program, we will be teaching you how to fill out some basic job applications,and how to apply and pay off student loans. Join us on Thursday, April 25th from 6:00 - 7:00 pm at the Ludington Library. The Mason County Democratic Party is an organization committed to supporting the Democratic Party efforts in Mason County, Michigan, and the United States. We meet the first Thursday of every month at 7:00 pm at the Ludington Area Center for the Arts, 107 S. Harrison St., in Ludington. All are welcome. Third Coast Gypsy Jazz will be @ Jamesport Brewing Co.
Third Coast Gypsy Jazz will be at the Jamesport Brewing Co 7-10. Open Mic Night open to all performers (musicians, comedians, writers). Family-Friendly night. Sign up is at 6:30pm. They play covers and originals. Great Harmony's! The next open mic event will be at LACA in the evening April 5, 2019. This will be a family friendly event. all ages, all players, welcome. At the Mitten Bar Funkle Jesse Band will start at pm. Join us to imbibe and celebrate barrel aged deliciousness that is made here in our great lakes state. The tap list will be made public as the event approaches. We will also welcome the Funkle Jesse Band on stage at 9 p.m. Playing music that spans across generations, Funkle Jesse is a party band that will keep the dance floor busy all night. Their always-expanding song selection pulls from a variety of genres, including pop, rock, oldies and Motown, classic rock and current top 40 hits. Featuring a blend of voices, guitars, drums, keyboards and saxophone, Funkle Jesse offers professional entertainment and a high-energy performance. Have mercy! Ludrock's Girls Rock 2019, sponsored by Zonta Club. A night of girl power, music, stories, and celebration. Hosted by Jamie Spore. Broadcast live on 94 KROCK FM. More details and line up to follow. 7-10 pm. Chris Wiser from Grand Haven will be at the Ludington Pub 8-11 pm. Come join the Human Jukebox tonight! He also has some amazing originals. Just ask him! Flexidecibal will be @ the Sandbar starting @ 9:30 pm. Powered by the mighty BIG ROUND SOUND, them Flex boys will be banging out the jams all night long! So far, Third Coast Gipsy Jazz, Madalyn Parker, Anthony and Jeri, Tim Krause, and Chad Rushing. Due to the renovations the third floor it is still closed. AND The Q Smokehouse will be providing horderves! PLEASE: If your are interested or know of anyone with musical abilities please have them contact us by leaving a message at 231-690-6051. Our annual goal is $2000! Consider helping us help Bob enrich our community musically! Chad Rushing will be playing at Ludington Pub from 6-9 pm! Come join the hip hop mountain man for some fun and have dinner there, Phenomenal food! See you there. Open stage for those who play a musical instrument. Join the jam session! Informational meeting for new video group that will be meeting at LACA. Group leader Katie Provenzano will share her vision for this club and those in attendance will discuss when the best time for the monthly meetings will be. Ludington Writers Board of Directors. Barry Matthews, President. The public may attend. Held in the Judith Minty Room (202) at LACA 6:00-7:00pm. Facilitated by Barry Matthews. This event is open to everyone. A $2.00 donation to cover coffee and scholarships is requested. In the Judith Minty Room (202) at LACA 7:00pm. Local writers of all genres and abilities share works in progress and discuss improvements in a friendly and supportive manner. New members welcome to just come and watch or bring something they are working on. Please bring about 10 copies to share with the group. The group may be split if we have a large number of attendees. Pickin at the Mitten starts at 6 pm with Mike Lenich at the Mitten Bar. Bring your acoustic instruments. Everyone is welcome. This happens every 2nd and 4th Tuesday of the month. Acoustic Jam at Q's Smokehouse with Dave Preston starting at 6 pm. The Sound Psychologist is an electronic experimental artist, who employs techniques such as sampling, additive synthesis, and modular synthesis in order to push modern culture's definition of "Music" to a higher point. During the show the Sound Psychologist will go through his music production process and explain the origins of the techniques used to create his music. Public · Hosted by COVE (Communities Overcoming Violent Encounters) and SandBar from 6-9 pm. Lutroit will be @ Jamesport Brewing Co.
Lutroit will be @ Jamesport Brewing Co. 6- 9 pm. Third Coast Gypsy Jazz will be at the Ludington Bay Brewing 7-10 pm. Children of all ages are invited to attend Unicorn Day at the Mason County District Libraries in Ludington and Scottville on Saturday, April 13th, 11:00 am. Add some magical majesty to your day and celebrate all things unicorn! Unicorn crafts, snacks, and fun will be featured. Children below the age of 8 must be accompanied by an adult. ALL Mason County District Library programs are free of charge. Saturday, April 13 from 1-3 p.m. local artist Linda Sandow will teach “Florals Your Way,” an acrylic painting workshop, in the upstairs craft room at the Ludington Area Center for the Arts, 107 S. Harrison St., in downtown Ludington. No drawing skills are required. Each participant will choose one of three compositions: a field of tulips, a vase of daffodils, or a street scene of pansies and tulips and paint an original art work on an 8 by 10 canvas. Examples and traceable drawings as well as all materials are provided. Cost of the workshop is $25 for LACA members and $30 for non members. Contact the LACA office at 231-845-2787 or e-mail info@ludingtonartscenter.org for more information or to register. Blues Funk Rock and Soul! 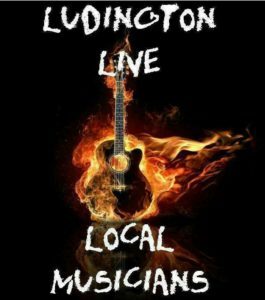 John Merchant will be playing acoustic at the Ludington Pub from 6-9 pm. Come join in on some awesome food and amazing talent. Project choices include a bird, fish or butterfly shape which can be used as wall art or garden art or a trivet designed by the student. Instructor Sheila Preston will teach basic glass and tile cutting techniques and grouting.No experience necessary. Workshop cost is $30 for LACA members and $35 for Non-members and includes a materials fee. To register call LACA at 232-845-2787 or e-mail info@ludingtonartscenter.org. All are welcome to attend this free group meeting to discuss all things photography. Acoustic Jam at The Q Smokehouse with Dave Preston starting at 6 pm. Join the Ludington Area Jaycees and some local celebs as we raise money for the Freedom Festival Fireworks Fund! The Jaycees are committed to continuing to provide bigger and better fireworks than ever this year but to do this, we need your help! You "vote" for your favorite Crazy Bartender by putting cash in their tip jars (or making donations to them before the event)! The winner (most money in tips) will receive the traveling trophy created/donated by Ericka Karmeisool and bragging rights... All tips raised will benefit the Fireworks Fund! AND while last year’s winner, Barry Neal, won’t be returning to defend his title, he has pledged to match $500 toward the pot of the first of this year’s contestants to reach that amount. In addition, Timbers will generously donate at portion of beverage sales during the event back to the Jaycees . We'll also have 50/50 raffles and music by Chad Rushing! Thank you to our event sponsors: Timbers Bar & Grill, Chad Rushing, and Katie Pro Video! The Ludington Area Center for the Arts Film Committee will show the 2012 film 'Quartet' Thursday, April 18. Quartet tells the story of a group of retired opera stars stage an annual benefit concert to cover the fees for their rest home. Tickets are $2 for adults and $1 for children. Tickets can be turned in for a free bag of Wesco popcorn. Additional popcorn, candy and drinks will be available for purchase. Open Mic Night open to all performers (musicians, comedians, writers).Adult-Focused night. Sign up is at 6:30pm. Strings and Slide will be @ Ludington Bay Brewing 7-10 pm.. They are a duo bringing Country and Blues for Regular Folk. Heartfelt. Life earned. Honest and true. Dean Dostal and Abe Kurzer. Adult Open Mic at LACA from 7-9 pm. Harv will be @ Jamesport Brewing from 7-10! Rusty Horse and special guest Jack Leaver will be at the Mitten Bar starting at 8:30. A celebration of Neil Young and Crazy Horse. River Rap Live at LACA. rappers representing Ludington to Grand Rapids. Featuring Stogiie Santana, Unkey Fonz, Leeko Kidd and many more! Doors at 7:30 p.m., Concert at 8:30 p.m.
PROJECT 90 is hitting the stage at SandBar on 4/20 with all of your favorite 90's Rock, all night long!! PROJECT 90 was voted the #3 Favorite Cover Band in West Michigan in REVUE Magazine's Best of the West reader's poll 2018. Third Coast Gypsy Jazz will be @ the Ludington Pub from 8-11. This is their debut at the Ludington Pub. Let's show them our support! Children of all ages are invited to an Earth Day Celebration on Monday, April 22nd, 4:00 pm at the Mason County District Libraries in Ludington and Scottville. Join us for an afternoon of earth-friendly fun, games, activities, and snacks. Children below the age of 8 must be accompanied by an adult. ALL Mason County District Library programs are free of charge. Become a jeweler with this exciting medium! Bronze Metal Clay (PMC) is pure Bronze metal in clay form that can be molded into beautiful jewelry and hardened into solid Bronze by firing it in a kiln. During this introductory workshop, taught by Sheila Preston, students will explore design, texture, shaping, stamping, cutting, joining and metal finishing and basic jewelry techniques. Students will transform metal clay into a unique pair of earrings that they will be proud to wear! This class will meet for two sessions and includes instruction, the use of equipment, basic tools and jewelry supplies, and kiln firings. Writers of all experiences levels and genres can find inspiration, learning, courage and community with the West Side Gang. The Westside Gang meets the Second and Fourth Tuesdays of every month, in the Judith Minty Writers Room at the Ludington Area Center for the Arts. All genres are welcome - literary fiction and nonfiction, memoir, poetry, and genre fiction. All experience levels are welcome, too. There are rules and requirements regarding what is expected of group members, and a meeting facilitator, but no "leader" in the sense of a controlling viewpoint. There is a required donation of $2 at each meeting to help defray expenses. Don't fight this. Lee Zacharias visits Mason County District Library on April 25. Michigan Notable Books is designed to promote reading and raise awareness of Michigan’s literary heritage. The program annually selects 20 of the most outstanding books published in that year – titles that are reflective of Michigan's diverse ethnic, historical, literary and cultural experience. 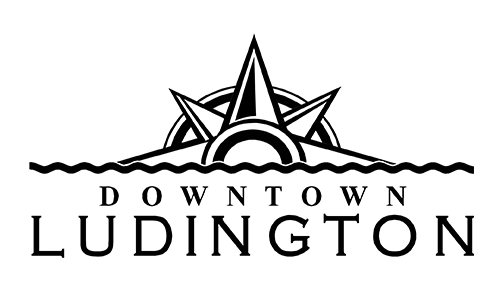 In addition to the tour, the Library of Michigan Foundation will host a “Night for Notables” on Saturday, April 7th with Richard Ford as the featured speaker. For more information about the evening program taking place at the Library of Michigan in downtown Lansing, visit www.michigan.gov/notablebooks. The 2019 Michigan Notable Books program and tour are made possible thanks to the generous support of the Library of Michigan, the Library of Michigan Foundation, Michigan Department of Education, the Michigan Humanities Council, Meijer, and the Michigan Center for the Book. Media Sponsors are Mittenlit.com, City Pulse, Queue Advertising and Tom Gennara Photography. Mason County District Library programs are free. on Saturday, April 27 from 6 - 10 p.m. This annual event is a fundraiser for the Alzheimer's Assoc., Great Lakes Chapter and our local Salvation Army. This month, the Mason County District Library is partnering with The Leeward Initiative, to host a viewing of the documentary, "Nova: Addiction." Come join us Monday, April 29, 6:00 pm at the Ludington Library to learn about the disease of addiction, and find out what resources we have here in our community to help those who are struggling. Addiction experts will be on site to answer your questions. The Leeward Initiative is a local prevention coalition, focused on 'working together to reduce substance use by increasing understanding, ensuring treatment services, and supporting our families and community.' NOVA is the award-winning PBS science documentary series. Hear firsthand from individuals struggling with addiction and follow the cutting-edge work of doctors and scientists as they investigate why addiction is not a moral failing, but a chronic, treatable medical condition. Easy access to drugs like heroin, fentanyl, and even prescription medications like OxyContin has fueled an epidemic of addiction - the deadliest in US history. Now, science is revealing how addiction affects the brain, and top experts are gathering evidence about how we should address our drug problem, from embracing evidence-based treatments, to rethinking public policies. In months that have a fifth Tuesday, the Writers Group presents some form of educational material having to do with the literary arts on fifth Tuesday. The scheduled presentation for March is several video lectures form the Great Courses series "Building Great Sentences: Exploring the Writer's Craft".